Using a metal detector underwater adds an extra layer of excitement and fun to your treasure hunting search. 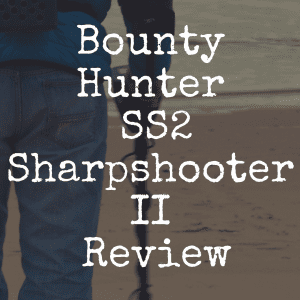 And in this article, we’re going to discuss the types of metal detectors for underwater explorations you should be considering, how you can best narrow your search, and discuss the pros and cons of a small handful of great choices for underwater detecting. Viper Trident 4.2 lbs. $$$ 3.0/5 Waterproof up to 132 ft. There are two types of underwater metal detectors. The pulse induction (PI) metal detectors work by sending several fast electronic pulses into the ground. Electric currents are not affected by the minerals in the ground or by wet sand and are very sensitive to precious metals. 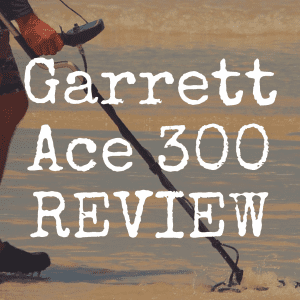 This is the best metal detector for the beach, as well as for for diving. In fact, you can use this type of metal detector for deep searches but should be aware that PI detectors are not very discriminatory, so you will hear pings for all metals and may be digging for a lot of trash as you search for treasures. The other type of technology used for underwater metal detectors is called very low frequency (VLF). These are really sensitive to jewelry, coins and relics and are less likely to tell you every piece of metal you may scan over. This circuit is affected by the minerals in the ground and has a sensitivity adjustment control so you can minimize those affects before you set out each time. 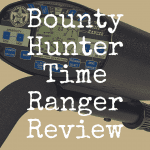 We have several questions for you to ask yourself to help you decide what type of underwater detector would be best for your hunting habit. 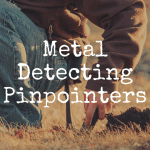 Where are you planning to use your metal detector? Will you be in salt or fresh water? What is the best type for you? While you may not be able to say exactly where you plan to use your detector, you generally know if you plan to walk along a beach (salt or fresh water), wading in water, or are you planning on diving to check out ship wrecks? Perhaps you are planning on using the same detector on land and in water? If you are going to use your metal detector near salt water, for example, you should plan to purchase a PI detector. You can use a VLF, but make sure it has a salt water mode. If you are going to be diving, make sure that the depth rating (how deep you can use it – not how deep in the ground it will search) is deep enough for where you plan to use it. As a diver, you might want to make sure whatever model you choose has a short dive pole to make your search more comfortable. Other accessories you may want to consider are headphones so you can easily hear the tones for objects that are deep and also help block out surrounding noises. Most underwater detectors have a set of waterproof headphones with the metal detector. A bag to carry your metal detector in, sand scoops and a sifter will all make treasure hunting easier and more fun. 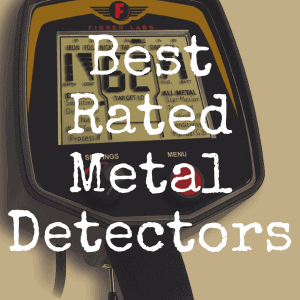 We have selected a few of the best beach metal detectors for you to think about. These are available in different prices so you are sure to see one that will fit your budget. This model is a PI metal detector and can be used with either a short or long stem configuration. It is incredibly versatile with the way you can use it and comes with headphones that are completely submersible in depths to 200’. It can comfortably be used as either a beach-combing detector or on a dive. 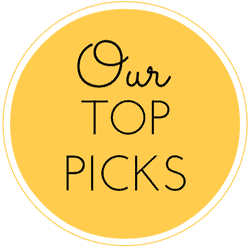 At a cost of a little over $600, it is a little pricey, but with all of the features it has, it is definitely one of the best you can choose. This metal detector comes with an awesome accessory package that includes everything you will need for both land and underwater treasure hunting. Everything can easily be packed into the included carry bag. It also has both audio and visual indicators and you can even see how big the object is and how deep it is buried. If you use this on a dive, you will even be able to hear the indicator sounds without having the headphones right over your ears. Another great feature of this detector is that its buoyancy is slightly negative when it is used underwater, which means you can sit it down on the bottom of the ocean and it will not float away from you. The Pulse 8X is expensive at a cost of around $2,000. One of the first things you will notice about the Sand Shark is the price of around $600 and it has a lifetime warranty. It also has a great user’s manual that will easily answer any questions you may have about the model. It is a PI type of detector, so it is perfect for searching along the ocean’s wet sand. You can change the settings to help customize your hunt so you can find exactly what you are hoping to locate. It can also be used to depths of 200’ so it makes a wonderful dive detector, too. Of the metal detectors listed here, this is least expensive at a cost of around $550. However, it does not have all of the features you may want in an underwater detector. It does not come with any accessories and is only waterproof to about 10’ so this is not a detector you will be able to dive with. If you are looking for a simple underwater detector to start with, this might be an option for you. This is a great dive detector as it is waterproof to 250’. It can also be used on land and in fresh and salt water. Another great feature is that it will ignore small pieces of trash instead of indicating every small piece of metal. It is reasonably priced at around $700. It even has a very long battery life of 75 hours. Audio and visual indicators make sure that you know every time you scan over an object and it also has a two year warranty. Each of these underwater detectors has features that are important to new and experienced treasure hunters. Carefully decide what you need in your detector before you begin your search and you will be sure to get a detector that is perfect for you. If this was a helpful article to you, please “like” our brand new Discover Detecting Facebook page! 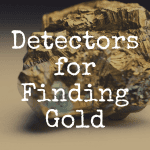 Discover Detecting is a website aimed at helping those interested in this unique treasure hunting hobby better understand the equipment they need to purchase and why.